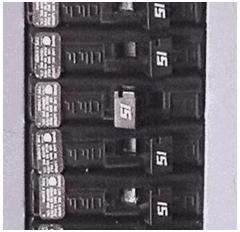 A circuit breaker provides protection by stopping the flow of electricity if an overload or fault occurs. When an electrical fault occurs or the load on your circuit becomes too great, the breaker on that circuit trips and interrupts the flow of current to that circuit. 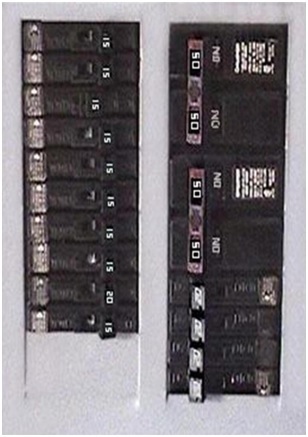 A tripped circuit breaker is still sometimes referred to as a "blown fuse" in reference to the older technology that circuit breakers replaced. If your home uses an actual fuse and not a circuit breaker, click here for information on fuse boxes. 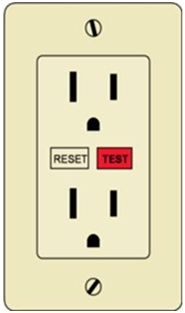 If no circuit breakers were tripped and you still do not have power at an outlet, the circuit is probably on a GFCI. Click here. Very rarely, false alarms are caused by air blowing directly on the detector (open window, ceiling fan blowing upward instead of downward, etc.). - Fixed by re-directing air movement away from detector.